In the 1960s, Libby Hall, a former press photographer, began collecting dog photographs. Originally, it was for the same reasons many of us collect, she was saving orphan photographs from being discarded into dustbins or thrown on bonfires. Libby lives in England, hence the dustbin and bonfire reference. 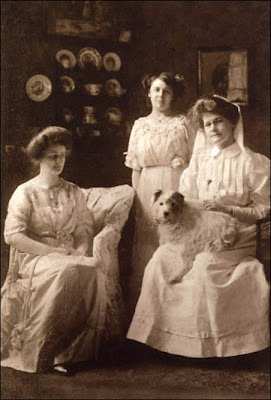 She fell in love with the photographs of dogs and their people and began collecting. Now that collection is one of the most famous and distinguished in the world. 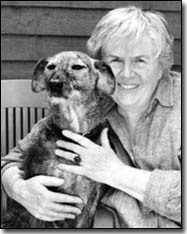 Hall has written Prince and Other Dogs 1850-1940, Prince and Other Dogs II, Postcard Dogs, and Postcard Cats. 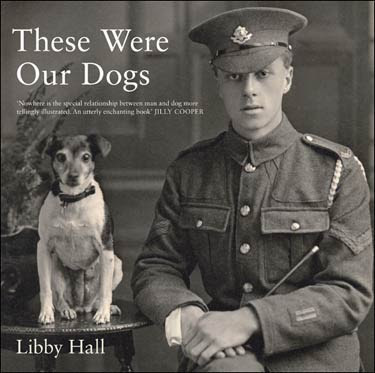 Hall’s latest book, These Were Our Dogs, published by Bloomsbury in November 2007, contains more than 250 photographs, never before published, from her legendary collection. With settings ranging from American mining towns to stately British homes to rural Japan, and a cast of characters including princesses, cowboys, clergymen, actresses, toddlers, and octogenarians, more than 250 antique photographs of dogs and their owners are published in this wonderful book. Some of the portraits show the owner's sense of humor and others show the dog's. Each one is unique. My favorite portrait is an 1871 image of Queen Victoria's personal servant, John Brown, with four of her favorite canines. I have never been concerned with 'antique' photographs as artefacts, as objects: only with the content of the image. Consequently I have been quite happy to buy pictures that have been in poor condition and to restore and repair them, something that would appal some collectors for whom the condition of the original photograph is all-important. But, while I have had no qualms about restoring a damaged image so that its content is easier to see, I have been scrupulous in not altering in any way the essence of an image." This is a book of photographs, not a history lesson in photography or social science. What you learn, you glean from the photographs themselves. Where possible information included with the photographs was included in the book. There are dogs in daguerreotypes, carte-de-visites, cabinet cards, card mounted photographs and snapshots. Dogs in cars, pampered dogs, working dogs, dogs alone, and dogs with their owners. Do dogs look like their owners or vice versa? Sometimes so much so you will laugh out loud. I will share one photograph from the book. One that contains a woman wearing glasses. Of the over 250 portraits only three had a woman wearing glasses. Book Cover and Author Photographs Courtesy Bloomsbury. Selected photograph copyright Libby Hall, without permission, under fair use. What a wonderful photograph you chose from the book! It sounds like a great book, too. I found you through GoodStock and her article on your blog today. Because of your September 24 entry - I just purchased 4( ! ) of Libby Hall's books, to include the one you featured. They will be Christmas gifts if I don't get greedy and decide to keep them for myself! 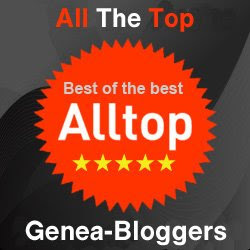 Will be reading your blog everyday from now on out. Lidian: You know how I love those women wearing glasses! It is a great book. Welcome! Reading me every day could be dangerous. I never met a book I didn't want. Hall's are all wonderful, but wait, I have three more I really love by other authors. I told you this was dangerous.